Toronto Bonus Lawyer: Paquette v. TeraGo Networks Inc.
Monkhouse law successfully defends the rights of employees to get bonuses during their notice periods. The Court of Appeal strongly rules that employees are, de-facto, allowed bonuses. Ontario’s highest court has definitively weighed in on the on-going debate regarding an employee’s bonus entitlements during the notice of termination period in Paquette. The question is whether an employer has the ability to limit bonus compensation in face if a wrongful dismissal and an employee’s ability to collect damages for all compensation that would have been made had the employee continued their employment. The case was argued by Monkhouse Law founder Andrew Monkhouse, who specializes in bonus compensation. He was assisted by Samantha Lucifora. The issue on this appeal was whether the motion judge erred in denying the appellant’s claim for compensation for loss of a bonus as part of his damages for wrongful dismissal. The bonus policy outlined that employee’s who are “actively employed” at the time the bonus was paid were eligible to receive such bonus. On summary judgement, the motion judge concluded that the employee had been wrongfully terminated, the bonus plan was an integral part of Paquette’s employment and that if such employment had continued Paquette would have been eligible to receive a bonus in 2014 and 2015. However, the motion judge relied on the requirement that an employee had to be “actively employed” by TeraGo at the time the bonus was paid to deny the employee the bonus. The motion judge focused his analysis on whether the active employment term was ambiguous and concluding because the term was unambiguous and the appellant could not meet the requirement, no amount of bonus would be included in the wrongful dismissal damages. The motion judge’s denial of the bonus was appealed. The Ontario Court of Appeal held conclusively that the motion judge erred in principle in treating the issue of whether bonus amounts should be included in the Appellant’s damages for wrongful dismissal as a question of whether the “active employment” term in the bonus plan was ambiguous. Ontario’s highest court stated that by narrowly focusing his analysis on whether the active employment term was ambiguous the motion judge applied an incorrect principle and his decision is reviewable on a correctness standard. The basic principle in wrongful dismissal matters in quantifying damages is that the terminated employee is entitled to compensation for all losses arising from the employers’ breach of contract in failing to give proper notice. The damages should place the employee in the same financial position he or she would have been in had such notice been given (Sylvester v. British Columbia  2 S.C.R. 315 at para 1). The motion judge ought to have commenced his analysis from the premise that the appellant’s common law right to damages was based on his complete compensation package, including his bonus. The Court of Appeal noted, the first step is to determine Paquette’s common law rights, in circumstances where bonus was an integral part of the terminated employees compensation and he would have earned a bonus had he continued to be employed. The second step is to determine whether there is something in the bonus plan that would specially remove the appellants common law entitlement, not whether the contract or clause is ambiguous but whether it alters or removes the appellants common law rights. In sum, a term that requires an employee to be “actively employed” when the bonus is paid is not sufficient to deprive an employee, terminated without reasonable notice, to a claim for damages for the lost opportunity to receive the bonus he or she would have received during the notice period, as part of his or her wrongful dismissal damages. With this ruling the Court has found that it is very difficult, if not impossible, to limit employee’s common law rights to bonuses. Appeal allowed. Appellant’s additional damages in the sum of $58,386.64. costs award on a partial indemnity basis in the agreed amount of $15,000.00 inclusive of disbursements and applicable taxes. The appellant was entitled to compensation as part of his damages for wrongful dismissal for the loss of his bonus for 2014 (payable February 2015) and the lost opportunity to earn a bonus in 2015 (payable February 2016), all of which accrued during the reasonable notice period assigned by the motion’s judge. 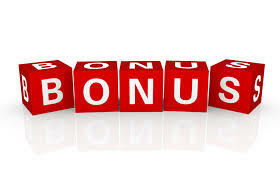 If your employer is trying to limit your rights to a bonus you need to make sure that you have the very best counsel working for you who are experienced with bonus issues. Therefore make sure to call Monkhouse Law today for a free phone consultation. About the Author: Samantha Lucifora is an associate lawyer at Monkhouse Law where she practice Employment, Human Rights and Disability Insurance Law. Samantha can be reached at samantha.lucifora@monkhouselaw.com. Samantha was co-counsel on the Paquette appeal.